Not like we're staring for hours or anything. But this animated cover, where the Doctor's sonic screwdriver glows, is weirdly hypnotic. 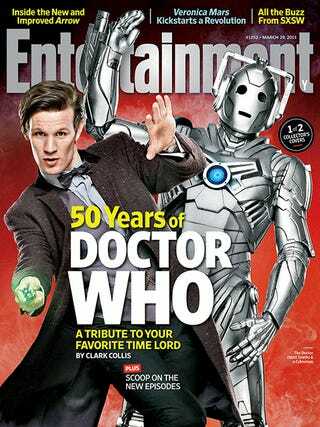 This is just one of two new covers from Entertainment Weekly. Check out the other below.